Go to the Grow Group area of our Connect Center (right next to the coffee shop) and find a group that is looking for members. Talk to someone you know at Evangel and consider starting a group yourself! 3 or 4 people are plenty for a Grow Group! More is fine too. 🙂 We encourage groups of all shapes and sizes. Our Philosophy of Groups is below. Also, come to a brief leader meeting on September 10 right after the morning service! 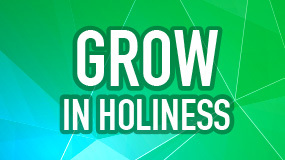 Grow groups are typically made up of 2 to 15 people. Grow groups typically meet for four 10-week periods a year. Meetings normally last about 2 hours. Host a group. It’s easy–just open your home and make cookies! Lead a group. The Evangel leadership team would love to help you find the tools you need! Leaders should have a good testimony of faith and some ability to explain Biblical concepts. God intended for believers to live together in community. Iron sharpens iron; when we share our stories and look to the Word for guidance, we help others do the same. God wants us to be unified in love; grow groups provide a unique situation to be unified in purpose and to show love.